A full-color, 32-page manual guides you through the science and history of cosmetics, and offers instructions for beauty recipes and chemistry experiments. Made in Germany. Chemistry is the science of materials, their properties, and how they react with each other. All materials are made of atoms. Why do some atoms combine with each other while other atoms do not? Because atoms just want to be happy! Of course, atoms don’t really have feelings. But they do have observable behaviors. And atoms tend to be more stable, or “happy,” when they have certain numbers of electrons whizzing around their cores. Where do they find extra electrons if they need more to be happy? From other atoms that have too many electrons, of course! When atoms share or exchange electrons to be happy, they stick together. Happy atoms form molecules! With this revolutionary approach to teaching chemistry, you can make your own happy atoms! This physical and digital system lets you discover the world of molecules in an intuitive, hands-on way. Using a set of 17 atom models representing 6 different elements, you can assemble your own molecular models. The atoms connect easily with magnets: metal tips on the ends of rubbery arms, which represent free electrons, snap onto magnetic bonding sites on the atom spheres, which represent empty spots for electrons in the atom’s outermost electron shell. 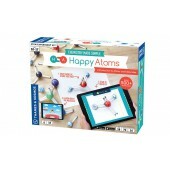 With the Happy Atoms Introductory Set, you can snap together hundreds of different molecules. Because the atoms already have the correct number of free electrons and empty bonding sites, it is difficult to build a molecule that doesn't actually exist. Happy Atoms function like the building blocks of the universe! The digital component takes this molecular modeling system to the next level. Using the Happy Atoms app and the camera on your tablet or smartphone, you can scan molecules you build. The app then uses state-of-the-art image recognition technology to identify the molecules. After a molecule is discovered, the app presents information about it, including its composition, usage, properties, hazards, formula, and structure. The app can recognize hundreds of the molecules that you can build with this set. It presents detailed information about 49 of the molecules you can build. The app is a fun and interactive chemistry curriculum. It takes you on guided quests to discover new molecules and learn about them. You can track your progress with the app, collecting sets of molecules that you have built and explored. Many people think of chemistry as complicated and hard to grasp. New technology now enables us to take this innovative approach to teaching chemistry, making it more tangible and instinctive than ever before. Requires a tablet or smartphone running iOS 8 (or later) or Android 4.4 (or later, with 1GB RAM, dual-core processor, and camera). Of course, atoms don’t really have feelings. But they do have observable behaviors. And atoms tend to be more stable, or “happy,” when they have certain numbers of electrons whizzing around their cores. Where do they find extra electrons if they need more to be happy? From other atoms that have too many electrons, of course! When atoms share or exchange electrons to be happy, they stick together. Happy atoms form molecules! With this revolutionary approach to teaching chemistry, you can make your own happy atoms! 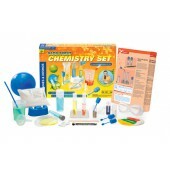 This physical and digital system lets you discover the world of molecules in an intuitive, hands-on way. Using a set of 50 atom models representing 16 different elements, you can assemble your own molecular models. The atoms connect easily with magnets: metal tips on the ends of rubbery arms, which represent free electrons, snap onto magnetic bonding sites on the atom spheres, which represent empty spots for electrons in the atom’s outermost electron shell. 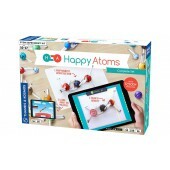 With the Happy Atoms Complete Set, you can snap together thousands of different molecules. Because the atoms already have the correct number of free electrons and empty bonding sites, it is difficult to build a molecule that doesn't actually exist. Happy Atoms function like the building blocks of the universe! The digital component takes this molecular modeling system to the next level. Using the Happy Atoms app and the camera on your tablet or smartphone, you can scan molecules you build. The app then uses state-of-the-art image recognition technology to identify the molecules. After a molecule is discovered, the app presents information about it, including its composition, usage, properties, hazards, formula, and structure. The app can recognize up to 10,000 molecules. 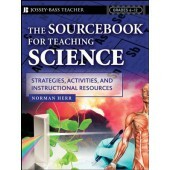 It presents in-depth information about 150 molecules and general information about the rest. The app is a fun and interactive chemistry curriculum. It takes you on guided quests to discover new molecules and learn about them. You can track your progress with the app, collecting sets of molecules that you have built and explored. Many people think of chemistry as complicated and hard to grasp. New technology now enables us to take this innovative approach to teaching chemistry, making it more tangible and instinctive than ever before. Requires a tablet or smartphone running iOS 8 (or later) or Android 4.4 (or later, with 1GB RAM, dual-core processor, and camera). For Ages 10-17. From Thames & Kosmos. Barbie™ is one of the top students in her chemistry class. For an extracurricular project, she and a fellow classmate put together a series of science demonstrations to present to other students at their school. This colorful carrying case is actually a portable science lab with all sorts of tools and materials for science experiments. As you read the story in the illustrated manual, you can experiment with six fun, safe potions and concoctions. Make a glittery pink slime. Mix up a color-changing mood putty. Erupt a volcano in a test tube. Make a lava-lamp-like fizzing reaction. Grow a delicate crystal feather. Experiment with bouncy golden putty. 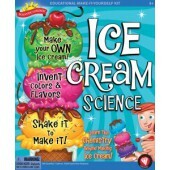 Learn the chemistry and physical science behind all the special properties of these potions. 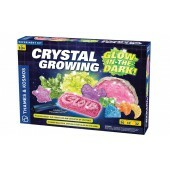 Experiment with growing crystals rapidly and slowly, and observe how that affects the crystal structures. See if you can grow one giant crystal, and many small crystals on the surface of a rock. Measure how the crystallization of solids out of a solution, and the dissolution of crystals back into solution, affect the temperature of the solution. Learn about the energy of crystallization. Investigate solutions, crystallization, and the chemistry of crystal growing. Learn about the structures and geometries of different crystal shapes. 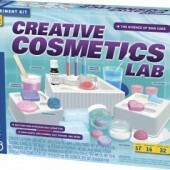 This kit is thoroughly tested and nontoxic. A full-color, 32-page experiment manual guides your experiments in the chemistry of crystals and glowing phenomena. Goopy, slimy, sticky chemistry experiments with a big lab station! This playful introduction to the basics of chemistry includes approximately 20 experiments. The experiments are presented on printed cards that can be clipped onto the lab station for easy reference. Experiments include glowing slime, color-changing slime, fizzing reactions, oozing bubbles, rainbow in a test tube, chromatography, cabbage juice pH tests, solutions, filtering, crystals, fire extinguisher, and underwater volcano. All of the experiments use non-hazardous chemicals. 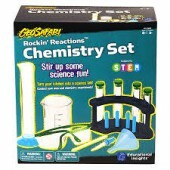 Create cool chemistry experiments with real scientific tools! 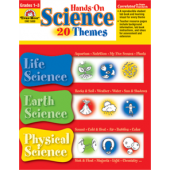 Kids can safely explore scientific principles right at home with everything they need to delve into the world of chemistry. The Annual Animal Shelter Gala is just hours away! Help Barbie and Nikki prepare for the party as you learn important STEM (Science, Technology, Engineering, and Math) skills. 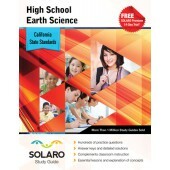 The full-color storybook manual guides your journey through seven building projects and more than seven experiments. Build a spinning closet rack, washing machine, jewelry holder, hammock, dress designer platform, shoe rack, and greenhouse with fan. Make a chromatography dress, leaf-print dress, and optical-illusion origami dresses. Read the story in the 32-page, illustrated manual. Build 7 Barbie® Dreamhouse® models and accessories. Create three unique dresses for Barbie®. 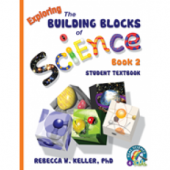 • Reproducible student lab books: lab book pages present the steps for each activity and provide space for students to write observations and answers. Chemistry for grades 9 to 12 is designed to aid in the review and practice of chemistry topics. Chemistry covers topics such as metrics and measurements, matter, atomic structure, bonds, compounds, chemical equations, molarity, and acids and bases. 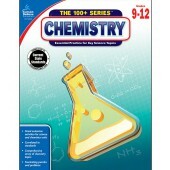 The book includes realistic diagrams and engaging activities to support practice in all areas of chemistry. Grades 9-12. 128 Pages. Includes Answer Key. From Carson-Dellosa. 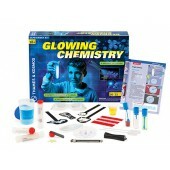 Explore the fascinating world of chemical reactions that produce light, called chemiluminescence. Mix up a magical blue light in a test tube using the glowing chemical luminol and other substances. With some cool chemical reactions, even coins and radishes begin to glow. You will discover how the natural world is full of luminous mysteries: bright spots on bananas, fluorescent chestnut bark, and glowing creatures in the sea. Experiment with the special ultraviolet lamp to reveal things that would otherwise be invisible. Learn about the electromagnetic spectrum, including visible and invisible light. Build a fun glowing puppet theatre to play around with glowing pigments and discover real-world applications for glowing chemistry. From Thames and Kosmos. Ages 10 and Up. Kick off a chain reaction of fun-filled experiments with this introductory chemistry set designed specifically for young kids. 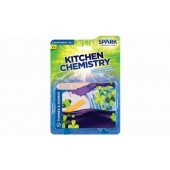 Junior chemists can safely explore simple chemistry using the tools in this kit and common household substances from the kitchen, bathroom, and laundry room. Learn how to use basic chemistry equipment such as filters, test tubes, pipettes, and measuring spoons, and beakers. Make your own test tube racks out of plaster and learn about the chemical reaction that formed them. Conduct experiments to identify different chemicals using reactions, heat, evaporation, and crystallization. Examine the composition of inks and dyes with chromatography experiments, where colors magically separate from one another on a filter paper disk. Explore the properties of water, soaps, and oils. Experiment with acids and bases using indicators (pH strips and cabbage juice) to identify them. Make fizzy reactions with acids and bases to dissolve shells and inflate balloons. Discover the invisible gas carbon dioxide and its very visible effects. 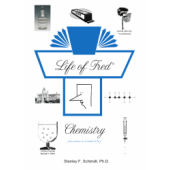 The full-color, 48-page manual guides inquisitive young chemists and their adult supervisors through safely conducting each of the 25 experiments.